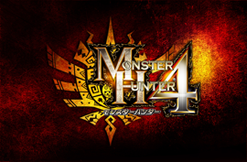 CAPCOM | Shipments of Capcom's "Monster Hunter 4" Top 4 Million! Shipments of Capcom's "Monster Hunter 4" Top 4 Million! Capcom Co., Ltd. (Capcom) is pleased to announce that shipments of its "Monster Hunter 4" game for Nintendo 3DS™ in Japan have exceeded four million units, including sales of the downloadable version through download cards and the Nintendo eShop. The "Monster Hunter" series is a hunting action game that pits players against giant monsters in a beautiful natural environment. The series has sparked a social craze known as the "Monster Hunter Craze" by introducing a new kind of communication style for players through cooperative play focused on hunting monsters with their friends. The series, first released in 2004 as a home video game, has been a massive hit. Next year marks the tenth anniversary of the launch of the franchise. Growth in sales is continuing with the number of committed fans still rising and total sales of the series surpassing 28 million units to date (as of December 4, 2013). The highly successful "Monster Hunter 4" features many new elements that have generated a strong response among game players. For example, this is the first game in "Monster Hunter" series with dimensional action that exploits differences in height. This game also uses the Internet to offer a multiplayer capability. Moreover, marketing activities have employed a variety of promotions. There are collaborations with companies in the food and beverage, apparel and other categories outside the game sector. Capcom staged the "Monster Hunter Festa '13" in five cities across Japan that had total attendance of 48,500. There are also TV commercials with celebrities and many other activities. The resulting support over a broad range of user segments has propelled sales of "Monster Hunter 4" to more than 4 million units only about two and a half months after the launch. More events are planned to create even greater interest in this game. 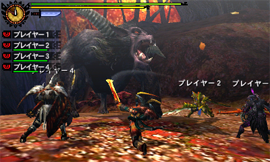 One is the ongoing "Monster Hunter 4 in Nanja Town", an event held in collaboration with a partner that allows visitors to enjoy a hunting experience. Starting in February 2014, Capcom will use a tie-up with Universal Studios Japan to hold an event called "Monster Hunter the Real 2014". There is also a regional revitalization campaign with Shibu hot spring resort in Nagano prefecture. Capcom plans to continue to use a variety of promotional activities in order to further increase the value of the "Monster Hunter" brand. Capcom remains firmly committed to satisfying the expectations of all users by making the most of its industry-leading game development capabilities in order to create games that are full of originality. In addition, Capcom will continue to pursue its single content, multiple usage strategy, which has the goal of using content in a broad range of business activities, for the purpose of maximizing brand value and further increasing sales and earnings. * Nintendo 3DS is a trademark of Nintendo Co., Ltd.
[Developer Interview 2013] Producer, General Manager of Division 3, Consumer Games Development, Ryozo Tsujimoto "The never-ending Monster Hunter quest to brave new frontiers - Things that change and things that remain the same: Monster Hunter's enduring ability to captivate"